How Do You Improve Team Performance in a Project Environment? I recently responded to a question about “How do you improve team performance in a project? It is very common for project managers to over-manage teams and I think that is a mistake. A team is like a dynamic organism and rather than simply putting pressure on the team to improve performance, a better approach is to understand the dynamics of how a team performs and work on the factors that impact improving performance. An even better approach is to help the team become self-organizing and take responsibility for improving their own performance. Does This Mean Abdicating all Responsibilities to the Team? The lowest level of empowerment is a “manager-led team”. In that environment, the only responsibility delegated to the team is for managing the execution of tasks that they are responsible for. At the other extreme is a “self-governing team” where the team takes complete responsibility for their operations including setting their own direction. It would be unlikely to find that level in a project team but you might find a senior management leadership team that operated that way. 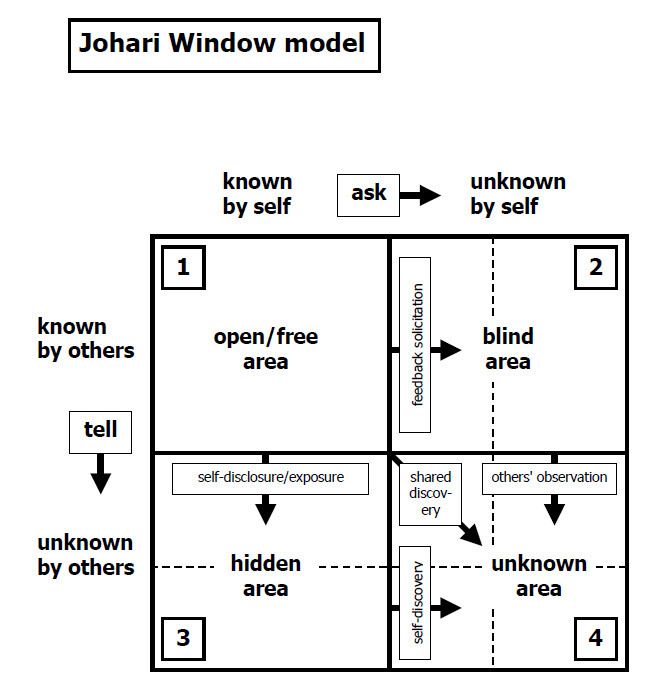 The two levels in the center would be more commonly found in a project environment. A “self-managing team” takes responsibility for monitoring and managing work process and progress. A “self-organizing team” goes beyond that and takes responsibility for designing the team including defining roles within the team and defining the organizational context of how the team operates. 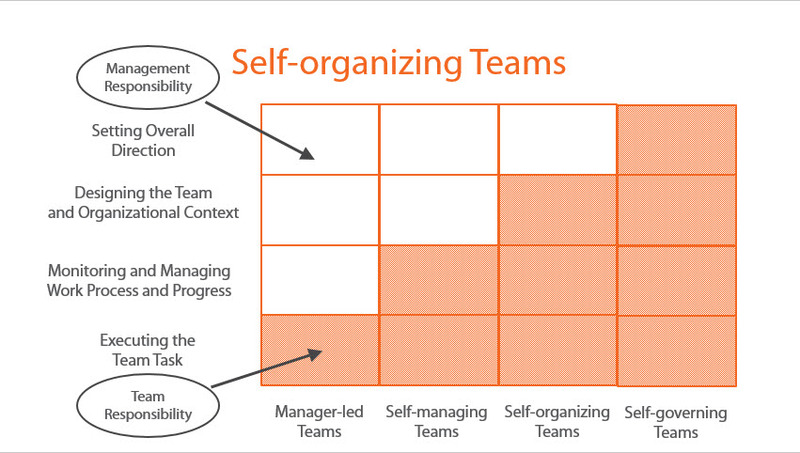 An important point is that “self-organizing” does not mean that a team does not need any direction at all. Self-organizing teams should not be used as an excuse for anarchy. What Are the Advantages of Empowered Teams? How Do You Improve Team Performance? Project Managers have a tendency to over-manage the performance of teams because the perception is that is what a Project Manager or Team Leader is supposed to do; however, in many cases, simply putting pressure on the team to improve performance may not be the best thing to do. A more proactive and more sustainable approach is to better understand how the team functions as a dynamic organism and work on the factors that drive performance. In an Agile environment, if there is a project manager involved at all at the team level, that project manager needs to be more of a coach to help the team improve its own performance. However, there is no reason why the idea of empowered teams is limited to an Agile environment. The same ideas can be applied in a traditional plan-driven environment; however, it may involve somewhat less empowerment. In a traditional project team, a Project Manager or Team Leader typically provides direction to the team and he/she is the one who is held responsible for the performance of the team and the results that they produce. In a traditional plan-driven project, some level of control may be needed to manage conformance to the project plan; however, even in that kind of environment, it is essential to delegate some level of responsibility to the members of the team. In an Agile project, there is a much higher level of emphasis on creativity and innovation rather than conformance to a plan. In that kind of environment, it is very important to fully empower all the members of the team to actively contribute to the solution as much as possible. This obviously takes some skill to do effectively but it definitely can be done. I think this is an extremely important area for Agile Project Managers and I have been adding a lot more focus in my Advanced Agile Project Management curriculum to help project managers learn how to deal with these challenges. Udemy students can find the equivalent information on my Udemy courses here. What’s the Difference Between Anarchy and Self-Organizing Teams? However, that doesn’t mean that self-organizing teams are given a blank check to do whatever they want to do without any higher-level direction and it also doesn’t mean that self-organizing teams should not be held accountable for their actions. The team needs to earn the right to be self-organizing by proving that they are responsible about making and keeping commitments – that’s an essential part of self-organization and one of the key things that distinguishes self-organization from “anarchy”. It would be irresponsible for any manager to rely on a team to be self-organizing if the team doesn’t hold themselves accountable for meeting commitments. After Agile, those issues almost totally went away because the teams became self-organizing. If there was someone with a performance issue on the team, the team did not tolerate it and resolved it themselves. The successful implementation of Agile and self-organizing teams at Valpak allowed their senior management team to focus on higher-level strategic issues much more than they had ever been able to do before because they were freed from managing so many day-to-day issues. What are the attributes of a good, self-organizing team? They understand and take responsibility for fulfilling the higher-level business direction of the company that they work for but no one has to micro-manage them to get it done. No one needs to pressure them into making commitments – they make commitments eagerly, voluntarily, and responsibly. Developing a highly effective, self-organizing team is not an easy thing to do and it can take time but its a very powerful component of Agile. There is also typically a balance between letting self-organization go too far and becoming an end in itself or turning into anarchy. Most companies do not exist totally for the benefit of the workers (that’s what socialism is and we all know how successful that is) so overall business direction and leadership is still important. What is needed; however, is visionary leadership, not micro-management.